Weekly updates of the unfathomable activities of the group who are concentrated in the Northern region of Nigeria populate every other day which has helped to desensitize the cringe-worthy images and accompanying copy that vividly detail the horrific results of every village that succumbs to the senseless attacks levied by the extremists sect that has been in business since 2009. Boko Haram inherited global exposure back in April 2014 when almost 300 school girls were forcibly removed from their school premises in the middle of the night with no warning and or any indication of where they were deposited. The audacity of the act helped initiate #BringBackOurGirls in an effort to pressure former President Goodluck Jonathan whose annoyingly docile and hapless approach ultimately became his undoing when it became readily clear to the world at large that he was incapable of locating the missing girls or successfully defeating Boko Haram. An election was staged in early 2015 and the end result was the return of Muhmmadu Buhari – who had previously been in power back in the mid-80’s – a time that is considered as the “gangster period” due to the blatantly destructive infrastructure that was soaked in bribery and corruption with no elements of disciplinary resolution. Jonathan’s celebrated departure and Buhari’s triumphant return to power was heralded by most Nigerians as a sign of better things to come. The expectations were high and the hope was that Buhari would use his strong pull in the North to finesse a plan that would extract the long-suffering region from the dangerous grasp of their relentless oppressors. 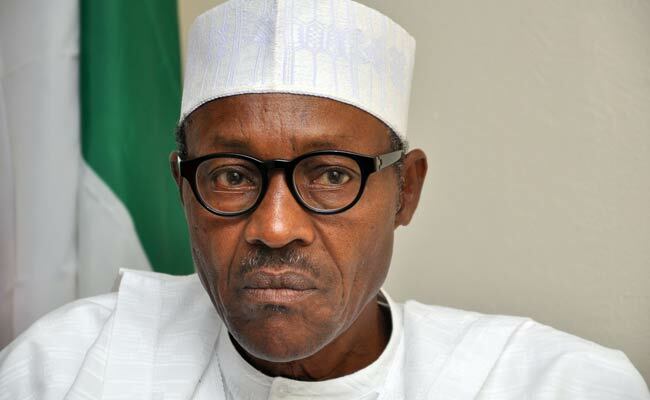 But almost a year later, Buhari has failed to live up to the most basic of expectations and even more tragic is the realization that he hasn’t fared any better than his unfortunate predecessor. Aside from being unable to competently draft out a strategy to solidify his mission to thwart the ongoing war against Boko Haram – the overwhelmed statesman is still also dealing with the country’s enormous deficit – a consequence of plunging crude prices. This has forced the President to ask for a whopping $3.5bn from the World Bank and African Development Bank in an effort to leverage the deepening hole in what can be considered as “economic quicksand”. In the meantime, Boko Haram continues to invade villages that are situated in prime areas that are inevitably targeted due to the vulnerability of its dwellers. 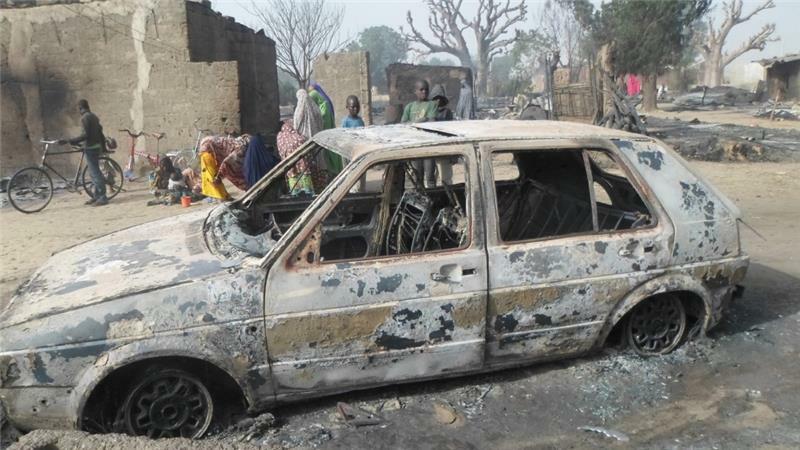 This past Saturday, the village of Dalori suffered a massive attack as huts were set on fire by firebombs and people on the streets were pummeled by an avalanche of bullets. More than 86 people were killed including children who witnesses say were screaming in horror as they burned to death in the huts that had been bombed. Some of the survivors had to be transported to a local hospital in Maiduguri in order to receive treatment for severe burns. The devastation that has erupted since the arrival of Boko Haram has resulted in the murder of at least 20,000 Nigerians and the displacement of 2.3 million people – with some seeking refuge in nearby territories like Chad, Cameroon or Niger. The question now is not when Boko Haram’s reign of terror will end but rather if it will ever be successfully toppled. As women and children continue to suffer the brunt of these lethal attacks with more than a million school kids being forced to abruptly suspend their education indefinitely – coupled with the indifference of global organizations that are set up to provide adequate assistance – there is every indication that this will be a continuing night mare that Nigerians will not wake from anytime soon. It also signals an already fractured government that is clearly beyond any hope unless another election looms in the horizon and attracts another power-hungry candidate who promises the world but refuses to shelter the lives of innocent citizens that rely on a severely crippled system for survival.